Progress! - Miata Turbo Forum - Boost cars, acquire cats. Is that construction of a new reactor? Joe only gets excited like this when something runs on nuclear power. Must be a reactor. Looks like the reactor out by camp Pendleton. 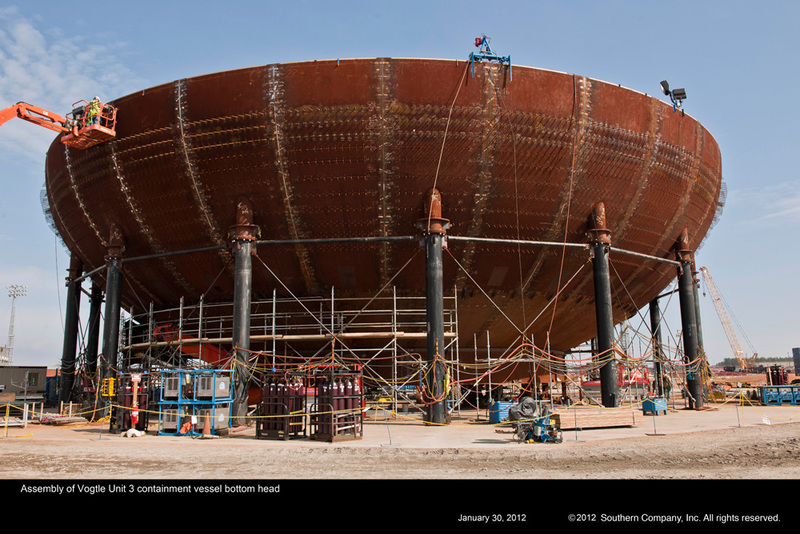 It's not just the construction of a new reactor, it's the construction of TWO new reactors. 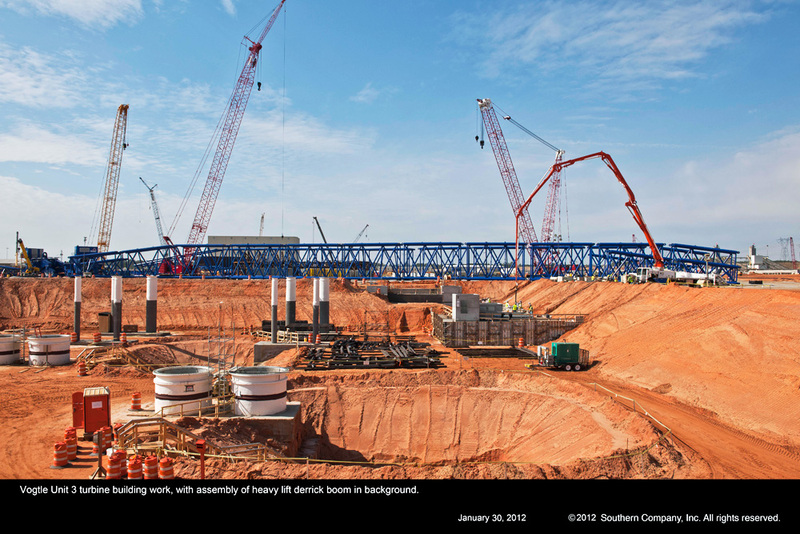 Units 3 & 4 at Plant Vogtle in eastern Georgia, to be precise. They were approved earlier this year, and are expected to achieve criticality around 2016 or 2017, which isn't all that long when you think about it. The anti-human protest groups who want to kill off modern civilization as we know it are doing their best to delay the process and ensure that as many people as possible are killed by fossil-fuel emissions in the mean time. The plants you refer to near Pendleton are the infamous San Onofre 2 and 3. I live just to the south of that site, and drive past The **** frequently. 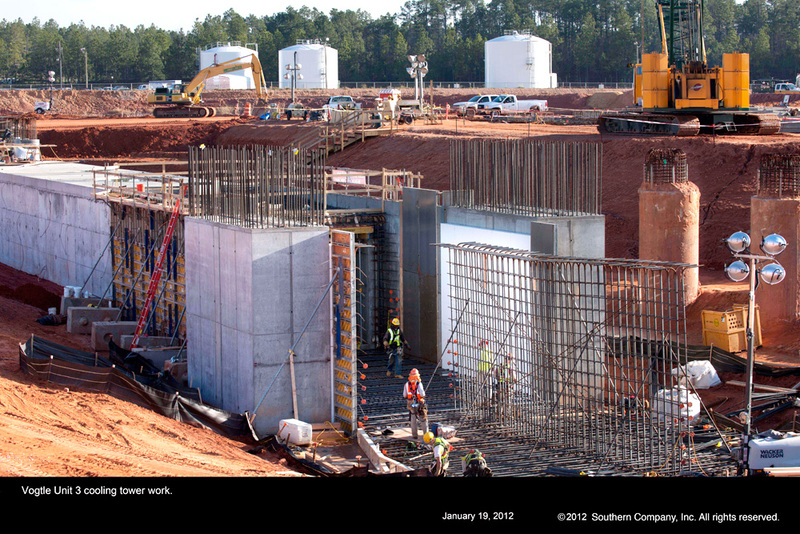 Those units are also PWRs, but of a fairly old design (they're conceptually similar to Vogtle units 1 & 2.) 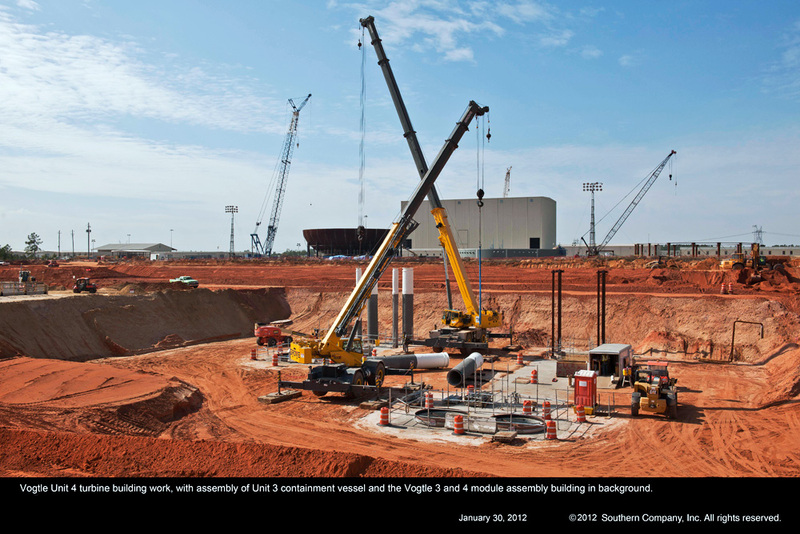 The new Vogtle reactors are Westinghouse AP1000s, which built around some really nifty concepts. In particular, a Fukushima-style disaster would have virtually no effect on them- the AP1000 is designed to be able to cool itself without any electrical or diesel power for 72 hours based entirely on gravity and convection. In particular, a Fukushima-style disaster would have virtually no effect on them- the AP1000 is designed to be able to cool itself without any electrical or diesel power for 72 hours based entirely on gravity and convection. So, what happens when the super-meteor collides with the Earth and knocks off a chunk big enough to form a second moon? What happens to gravity and convenction then, smart guy? Surely you must realize that a bit of radiation (not as much as the sun in PHX or a chest X-Ray, of course) is far more dangerous than a collision with a super-meteor. After all, look at how many people were killed at Fukushima. Why, I could count them on one hand if all my fingers were cut off. That's proof, isn't it? Nuclear power is far more dangerous than Earthquakes and Tsunamis. Can't believe they're building a power plant that won't have any fatalities. What are the lawyers going to do? There's a lot more money in death than there is in regulatory procedure. So, what happens when the super-meteor collides with the Earth and knocks off a chunk big enough to form a second moon? Hopefully the chunk includes Miami. That would solve a lot of problems. After all, look at how many people were killed at Fukushima. Why, I could count them on one hand if all my fingers were cut off. To be fair, there were two prompt fatalities at the Fukushima-Daiichi facility. Two plant workers were trapped in the basement when the wave hit, and drowned. And on a more serious note, it's reasonable to expect that dozens, and perhaps up to several hundred Japanese civilians may eventually die of radiation-related injuries traceable to Fuku. That number may ultimately grow to as many as one-twentieth the number of people killed every single year in the US alone as a result of disease induced by particulate emissions from fossil-fuel plants. But all hyperbole aside, this is just unbelievably exciting. There has not been a new plant licensed in the US since 1978, at which time I was still in diapers. 34 years! In all that time, we've been locked in a losing battle against nature and the laws of physics, being led by the blind down a path towards the pre-industrial era. Well fuсk you, hippies! We as a nation have finally seen the light! And the AP1000 design, in particular, is quite innovative not just from a technological standpoint but from a regulatory one as well. Unlike every existing reactor system in the US, it has been granted a design certification by the NRC, meaning that additional AP1000s can now be cranked out one identical to the next, without requiring costly and time-consuming design approval for every single unit. 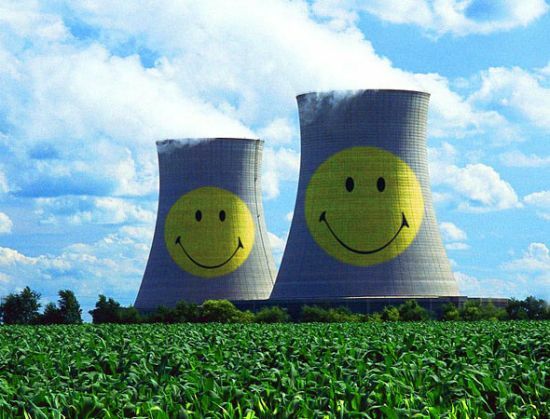 (Yeah, it sounds ludicrous, but up 'till now, pretty much every nuke plant in the US has always been a custom job.) Henry Ford figured out the assembly-line concept nearly a hundred years ago, and we've finally embraced that idea for the future of energy production. 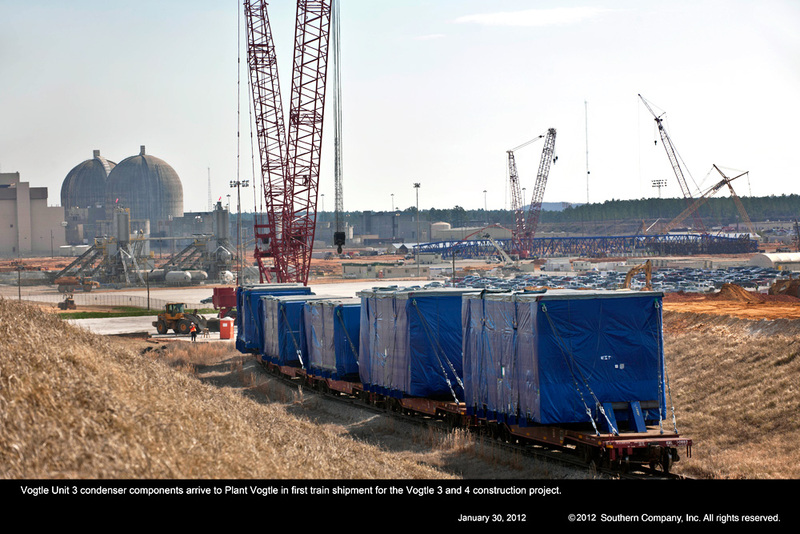 Combined Construction & Operating License filings have been made for twelve additional reactors in the US, all in the Alabama / Florida / Georgia / South Carolina area. Highly logical, given the enormous baseload requirements of these states and their traditional dependence on coal and oil for both base and peak-load generation. I'm just deliriously giddy. I can barely believe that this is actually happening for real! It is great news. I live near Comanche Peak. They wanted to expand, but seem to have given up after Fuku. There is also a water problem since we're pretty arid here. Actually, this is one area where wind and solar almost work! My pathetic attempt at satire aside, I would argue that the two Fuku workers were killed by the Tsunami and not as a consequence of nuclear power. Last edited by hornetball; 07-06-2012 at 04:24 PM. Well, if they hadn't had nuclear power they wouldn't have been in that basement now, would they? So it's a consequence of nuclear power. About ------' time! Nuclear is the most reasonable option for now and our immediate future. The Commanche Peak application is still active- they simply revised the timeline. The schedule had to be pushed back because the US-APWR reactors that they're planning to install have not received Design Certification yet, and they want to wait for that so that they can use the CCOL process. The US-APWR is a modification of an existing Mitsubishi design. It has a very high rated output (1.7 GWe per core), but is not quite as advanced as the AP-1000 design in terms of safety. It does feature considerable safety and redundancy improvements over the Gen II designs which compromise the majority of presently-operating reactors, though it's not capable of the completely autonomous, passive shutdown mode which the AP-1000 supports. It still requires some active controls to achieve a full shutdown, although the design of the accumulators means that it can survive brief losses of control and power without risk of damage even in the event of a "large break" accident (eg, the rupture of a main water line)- it's sort of like an Accusump, but on a rather larger scale. The pressure vessel itself is also quite intelligently designed. Mostly just simple stuff (no penetrating connections below the level of the fuel rods, for instance), but it's the sort of thing that's been overlooked in the past. I believe two new reactors were approve here in AL for Brown's Ferry. I think we need significantly more nuclear power. If you're afraid of nuclear power, then you're a ----- ------! But . . . being in a basement, by itself, isn't fatal. I sincerely hope this is the beginning of a positive trend in energy production/development. It's astounding just how much misinformation and fear-mongering has surrounded what is the nation's (world's) best hope for clean and long(er) term energy needs. Any time nuclear power comes up the casual conversation with my coworkers I find those that will logically debate its merits are few and far between. It's like trying to convince Christian zealots that the Earth is more than 6,000 years old. When I explain that there have been no new reactors in this country for over 30 years and that there has been in fact some level of technological progress in that time I can occasionally get a surprised "Oh." Reading this actually brightened my day a bit. Thanks for the post, Joe. I guess I don't drive enough to be impacted by fuel costs. I set aside $240/mo for gas (I DD a 5 spd V8 Dakota ~ 15mpg) and always seem to come in under budget. But, like I said, I probably only drive 800 miles a month. If you were unaware, Joe has a solution to this problem already. Have you seen his battery assisted bicycle? Gasoline contains the equivalent of around 36.6 kwh / gal of total potential energy. I'm averaging around 17 watt-hours per mile on the e-bike. My bike gets the equivalent of 2,153 miles per gallon. Total gasoline consumption this week: zero gallons actual, 4.38 ounces equivalent. Distance from home to office: 10.7 miles, 8.8 of which are Interstate. Time to work: 18 minutes from Key on to 8th floor elevator. You can't do that on a bicycle, electric or not. I live in a city where public transportation basically doesn't exist and isn't possible to implement. You can't walk two blocks and hop on a train headed downtown and there is no practical method to local grocery or convenience stores. Two miles in any direction of my neighborhood is still neighborhoods, businesses few and far between. My liberal friends would criticize and blame me for my own fuel consumption and financial hardships because I refuse to buy some fagggoty piece of crap electric car. Why should I have to take out a loan to buy such a piece of crap when both of the vehicles I daily drive are MINE, paid for in CASH?? The government thinks they can control any other free market business, yet they REFUSE to help with skyrocketing energy costs. There are some people in this country, hell, I know people in this city who 1. Can't afford to buy a "fuel efficient" vehicle, 2. Such a thing wouldn't be sufficient for their transpiration needs.